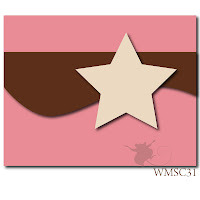 An interesting sketch (WMSC31) this week from the Waltzingmouse Sketch Challenge, lots of possibilities with this one!! I flipped the sketch for my card, here's what I came up with. 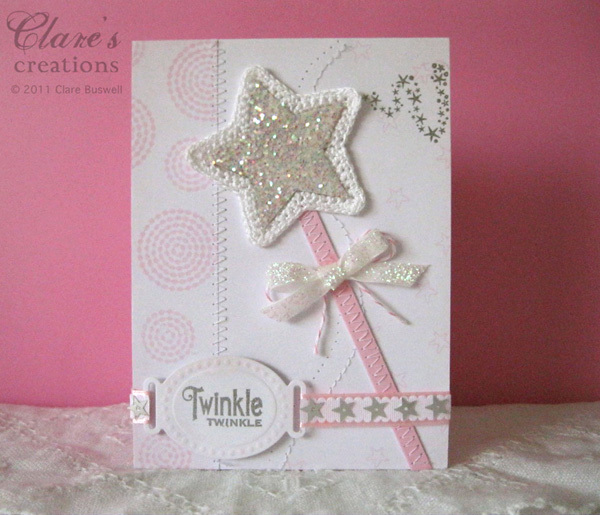 My daughter Isabelle was running around all day dressed up as a fairy, she was my inspiration for this card! She's obsessed with fairies and magic!! 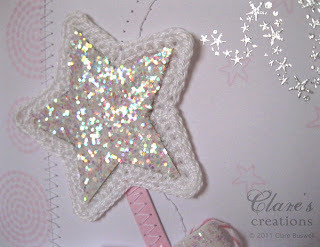 The crochet star I had in my stash, I bought it as part of a mixed lot on ebay a while ago. 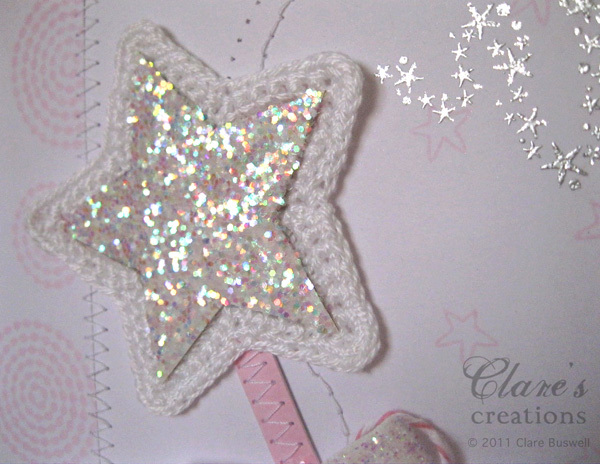 I cut out a slightly smaller star and covered it in chunky glitter! I made some patterned paper using Teeny Trees stamp set from Waltzingmouse Stamps. 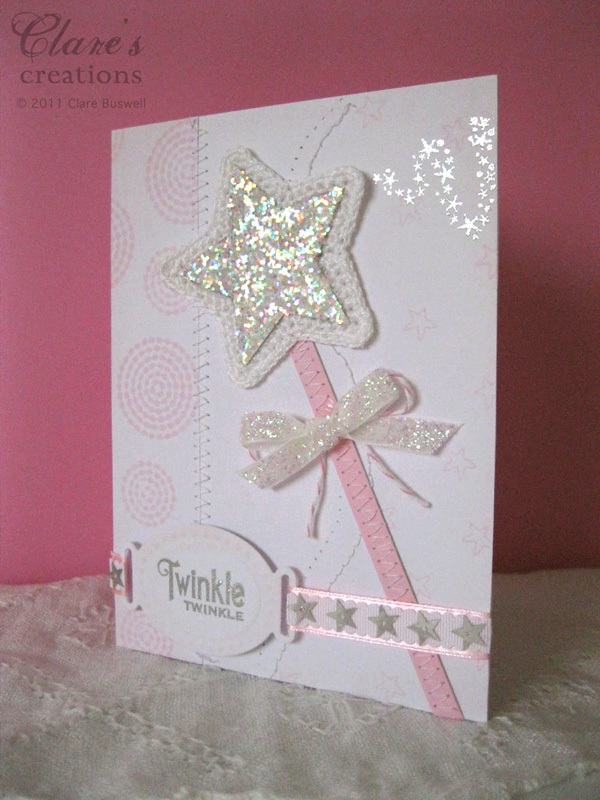 I stamped a few little pink stars using Half Pint Heros stamp set in the background on the right, I hope you can see it, it's quite a pale pink! The sentiment is from Seasons of Love - Tags. 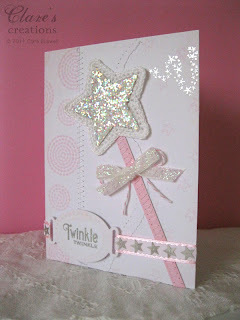 For the magic swish I used the stars tree stamp from Teeny Trees from Waltzingmouse Stamps, stamped with VersaMark and heat embossed it with silver sparkle embossing powder. This is so pretty! 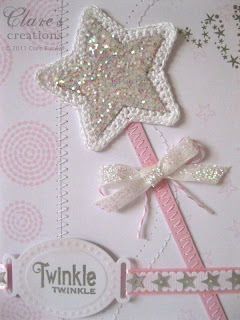 Love the little stars at the end of the wand, Ive always thought they resembled a streak of fairy dust! Just gorgeous!! It's so delicate and feminine. 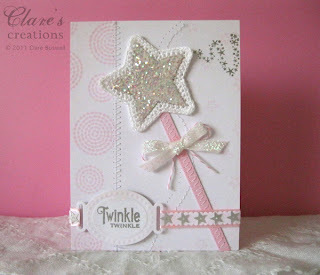 I really like the way you've made your wand and added sparkles ! Simply precious, Clare :) You nailed the sketch perfectly!!! OMGoodness...this card is absolutely adorable! I need to do a CASE for my 2 year old grandaughter. A card that looks like a fairytale. Gorgeous; I think Isabella will keep it in her room. And she's right; it's beautifu; I love that little "swirl" made from these tiny silver stars. so pretty! love the soft colors and your take on the sketch is fabulous, Clare! 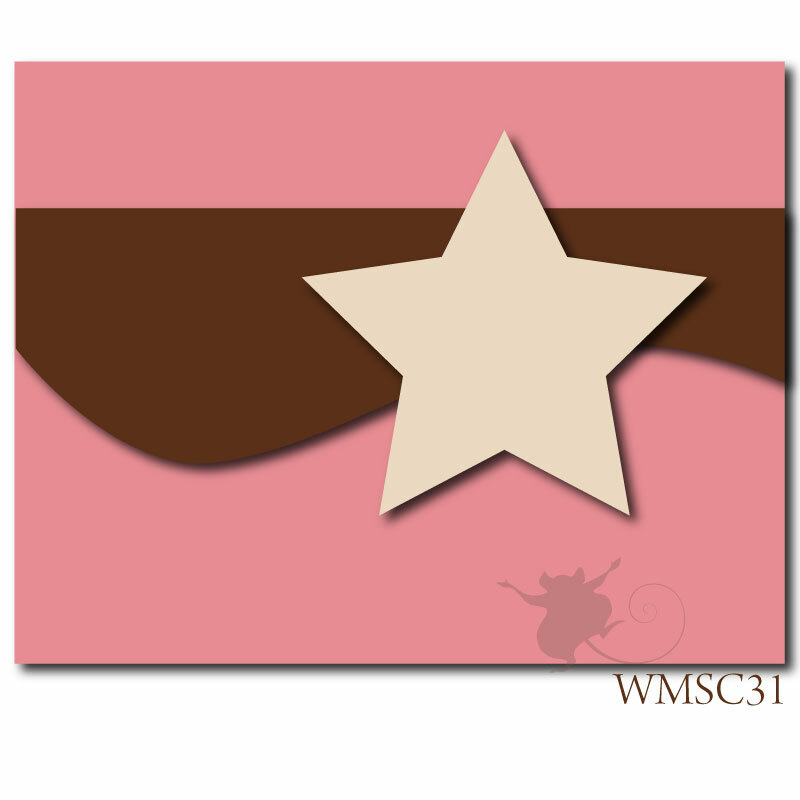 Friends of Waltzingmouse Stamps Blog Waltz! !